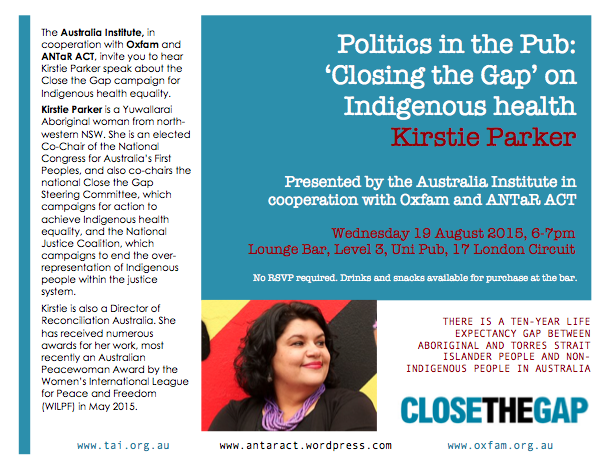 The Australia Institute, in cooperation with Oxfam and ANTaR ACT, invite you to hear Kirstie Parker speak about the Close the Gap campaign for Indigenous health equality. No RSVP required. Drinks and snacks available for purchase at the bar.